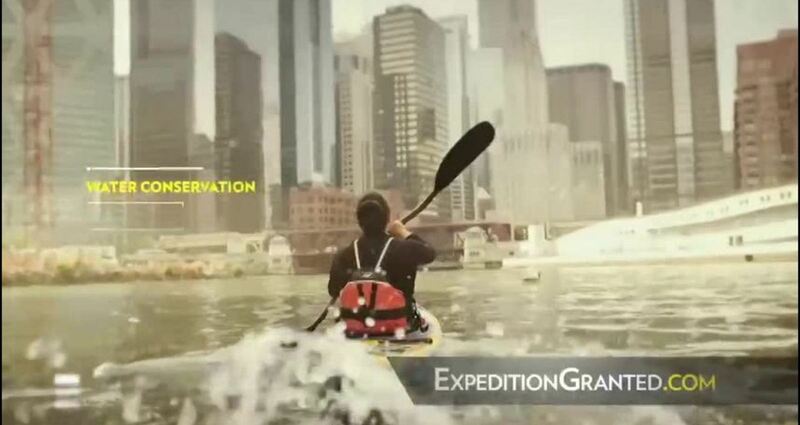 National Geographic’s Expedition Granted was original online program to find the next great explorer. Launched with a TV promotion featuring Brain Games host Jason Silva, the program unfolded over 12 weeks as young explorers were invited to submit short videos pitching their idea for their dream expedition. An advisory council of celebrities who are noted for forging new paths in their chosen careers offered advice along the way, and were featured in a series of short films examining what “exploration” means in the 21st century. The entire program was created from scratch including branding, bespoke technology and video player, original short films, PR and sponsorship marketing and community management. Nearly 800 video submissions were received and stress tested by the millions of visitors through an open Q&A process, after which the public was asked to vote from a shortlisted selection. Over 300,000 votes were cast before a winner was announced. National Geographic’s Expedition Granted was original online program designed to find the next great explorer, and to help redefine what exploration means in the 21st century, including exploration of the arts and sciences. Announced in a 30 second TV promotion featuring Brain Games host Jason Silva, the program unfolded over 12 weeks as young explorers were invited to submit short videos and “elevator pitches” describing their idea for their dream expedition. We also assembled an advisory council of explorers and celebrities who are noted for forging new paths in their chosen careers, including Chef Wylie Dufresne, filmmaker Casey Neistat, musician and Thomas Dolby. The council offered advice along the way for entrants, and were featured in an exclusive series of short films examining what “exploration” means today, which were distributed across social networks and featured on pop culture blogs. We created an entire program from scratch including brand identity, site design, tv scripts, custom site technology and video player, shooting and editing the original short films, PR and sponsorship packages and full community management. Nearly 800 video submissions were received and stress tested by the millions of visitors through an open Q&A process on the site. Once the submission period closed, a shortlist of entries that had captured the public imagination were selected by the National Geographic Society in conjunction with the advisory council. The public was then asked to vote for which expedition was most deserving of the $50,000 grant. Over 300,000 votes were cast before a winner was announced on the site and across pop culture blogs and social media.